Description: PAAPAB is a networked art application for CAVE or other projected VR display systems. 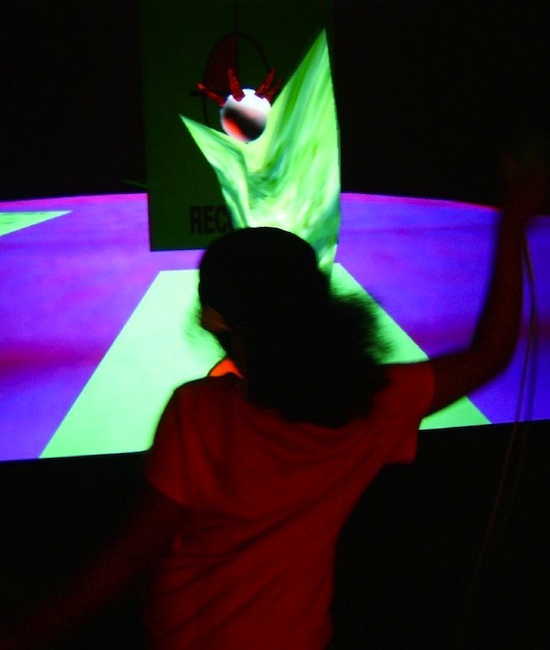 PAAPAB is a dance-floor environment inhabited by life-size puppets that are animated by the users. Users from the different remote locations can watch each other record puppets. They can also dance with each other and their puppet recordings on the dance floor. PAAPAB premiered as part of EVL: Alive on the Grid, at the Ars Electronica Festival 2001.